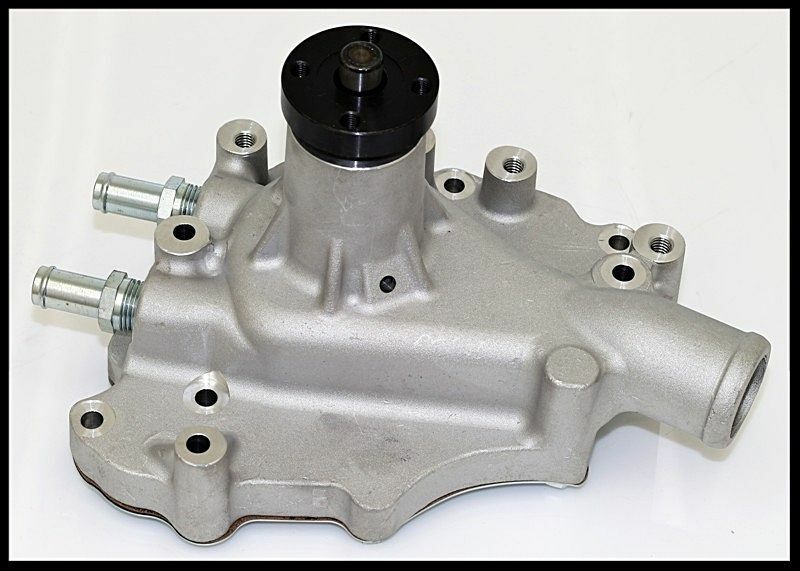 SBF FORD 289 302 351W ALUMINUM WATER PUMP, CNC'D ALUMINUM IMPELLER. HIGH VOLUME SERIES. LEFT HAND CLOCKWISE ROTATION. This water pump has a cnc machined aluminum impeller. The rotational weight reduction is considerable. Most all other water pumps have a stamped steel or cast iron impeller. This water pump is considered high end street/strip grade. These water pumps sell for over $149 at all major retailers. 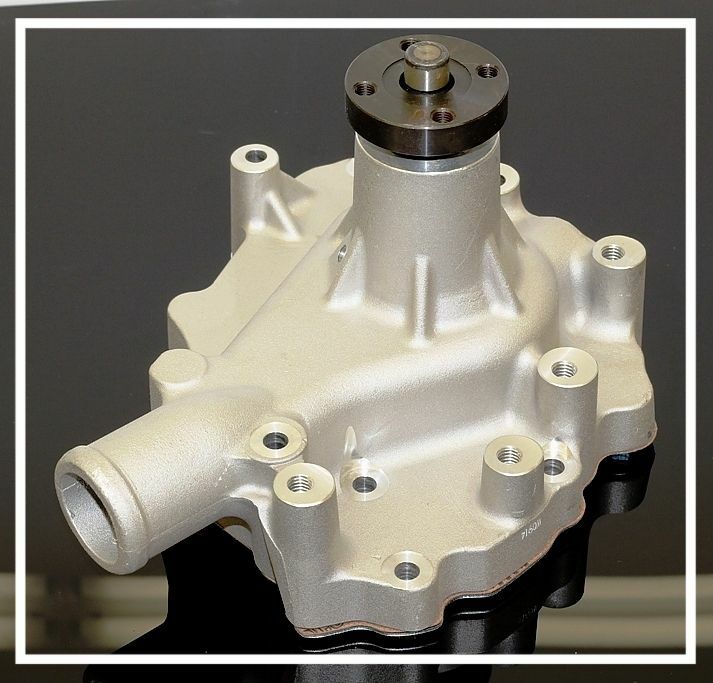 For those wanting a lower cost water pump, see our other listings, but we strongly recommend this unit for those wanting the ultimate in quality and performance. 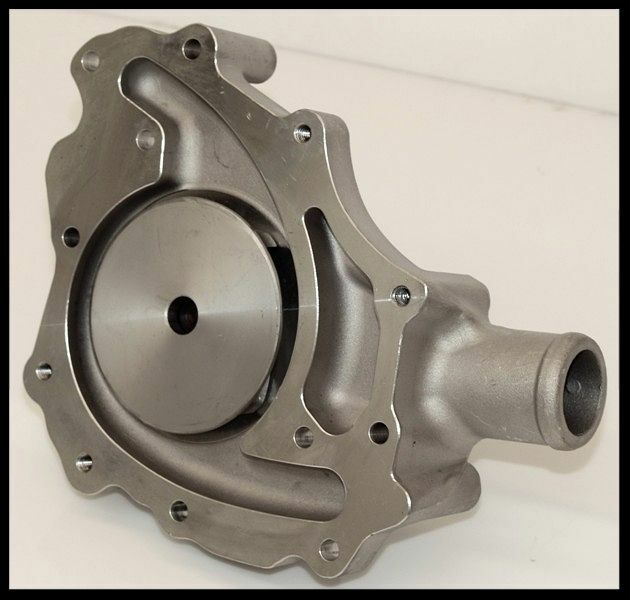 Picture below shows the aluminum impeller on one of our Ford water pumps. 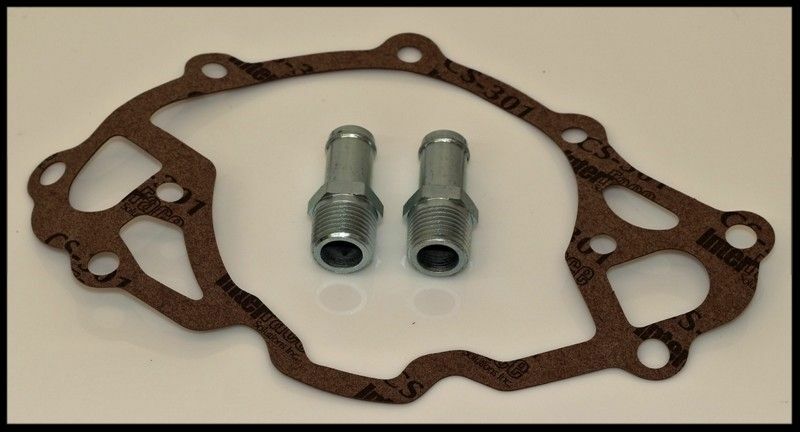 You may see other Ford water pumps on that sell for less, but they are not comparable. 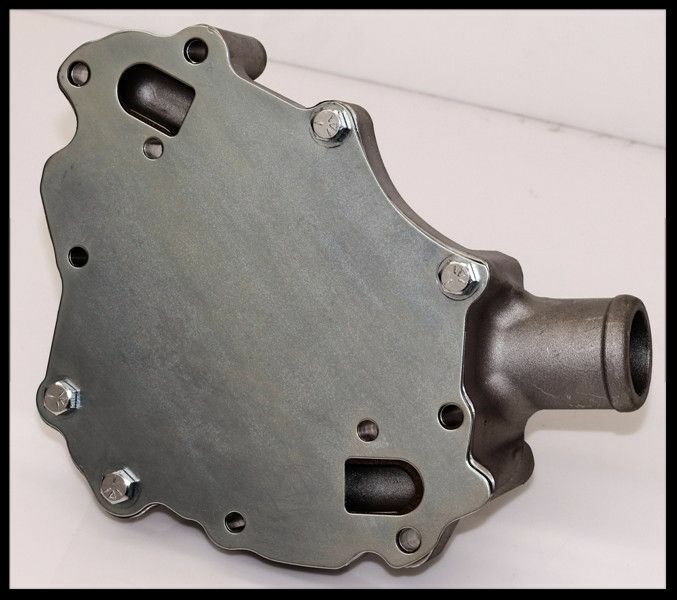 The cost increase for the aluminum impeller is only part of what makes this water pump a great value. The machine work on the housing is far superior to the low cost units on the market, and the grade of alloy is much better in appearance and quality. ALSO AVAILABLE IN POLISHED FINISH.